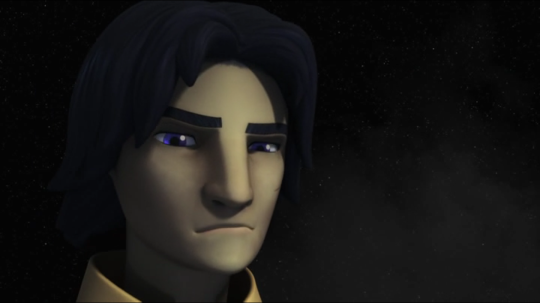 Is Ezra Bridger the next Anakin Skywalker? Is Kanan Jarrus the next Obi-Wan Kenobi? These two questions arise after last week’s episode of Rebels, “Shroud of Darkness.” It may well be the answer to both these questions is an unsatisfying “maybe” until the final four episodes of Rebels air. The reason why “no” isn’t a firm answer is entirely due to the crossroads that “Shroud of Darkness” planted us at concerning the fate of Ezra Bridger. Why is his fate suddenly the focus of our attention? The two part finale of Season Two is entitled, “Twilight of the Padawan,” and in an series which has heavily hinted at the former padawan of Anakin Skywalker confronting Darth Vader, it’s very logical to assume that this references the fate of Ahsoka Tano. 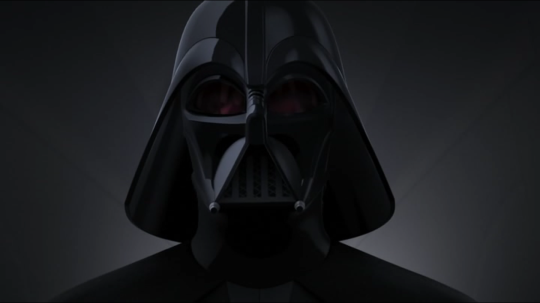 Indeed, “Shroud of Darkness” dedicated a scene to Tano confronting the fact that her former master had become Darth Vader. So to repeat the earlier question, why should we be concerned about Ezra? Power is the reason why, as power or the wrongful pursuit of it, took on the form of red flags for Ezra, our other padawan, in “Shroud of Darkness.” We have already touched upon the specifics of this in our review of that episode, but let’s quickly summarize those points again. First, over the course of Season Two, Ezra has become increasingly powerful as a Jedi in training under Kanan’s tutelage and has become very comfortable exercising his abilities, be it taking down Stormtroopers in “Stealth Strike” or almost angrily confronting Agent Kallus and his storm troopers in “Legacy.” Second, in “Shroud of Darkness,” he admires how powerful Anakin Skywalker was as a Jedi, while talking with Ahsoka, and more importantly, defends the use of power in a conversation with Yoda. Ezra even initiates his question to Yoda as, “You’re powerful, you must know a way to destroy Vader and the Inquisitors.” For Ezra, Yoda’s wisdom is based in his strength, not experience or knowledge, and he expresses surprise when the powerful Jedi Master admits to being afraid. 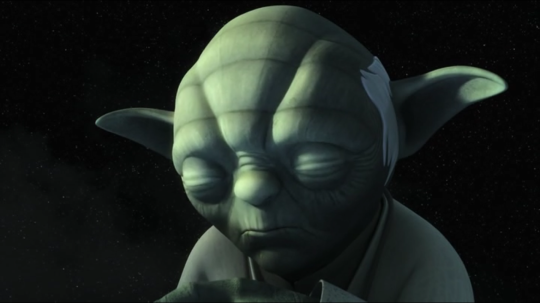 When Yoda frowns upon the Jedi entering the fight in the Clone Wars, Ezra’s face momentarily shows disagreement, if not a scowl, as he then argued what was wrong with fighting for what was right or to protect others. In every conceivable manner, Yoda is laying out an argument that when a Jedi fights in a conflict, he or she opens him or herself to the dangers of the Dark Side, be it fear or anger or hate. This is not a lesson Ezra wants to necessarily learn and as far we know it, it’s only the information concerning Malachor which he walks away with as the knowledge sought – not Yoda’s guidance on the Jedi Order’s folly. Ezra’s focus on power is underlined by the last line of the episode, spoken by Darth Vader, “It will be their undoing.” And it should be pointed out, power was the undoing of Anakin Skywalker, who turned to the Dark Side not just out of fear of losing Padme, but in search of the power to prevent her death. Is Ezra’s own obsession with power, to fight the Empire and protect his friends, leading him down the same path as Anakin Skywalker? Now what about Kanan Jarrus? Concerning Kanan, we can think of Obi-Wan and regretful words delivered by Alec Guiness, “I took it upon myself to train him as a Jedi. I thought that I could instruct him just as well as Yoda. I was wrong.” Why not stated, Obi-Wan is placing the blame for the fall of Anakin Skywalker on his own shoulders, and it happened because he simply did not have the teaching ability, be it knowledge or skill, as Yoda. He simply fell short of what was needed. Kanan’s own limitations were subject to his experience in “Shroud of Darkness,” but in this case, we do have some hope. In that episode, Kanan is raised to the title of Jedi Knight, and this promotion occurs because he admits to his own inherent limitations. Unlike Obi-Wan Kenobi, who thought he could train a padawan just as good as the guy who was over 800 years old, Kanan recognizes his limitations. The question to ask is, “Is Kanan’s own self-awareness enough to overcome those limitations or will he fail similarly to Obi-Wan Kenobi?” Ezra’s fate may hinge on the answer to that question. Finally, Ezra has one thing going against him concerning his future. There’s no need for a happy ending to Season Two of Rebels. The show has already been renewed for Season Three, which means the writers can take their characters on any path they choose because they know they have a whole other season for redemption or recovery. Ezra Bridger could fall to the Dark Side in “Twilight of the Padawan,” and his fate could very well become a central focus to Season Three. The Star Wars Expanded Universe, past and present, is very much focused on the potential seduction of the good to the Dark Side, be it Anakin Skywalker or Kylo Ren. In the old Expanded Universe, even Luke Skywalker was game for this type of character arc. Season Two may well find itself having something in common with the Original Trilogy, the second installment is darker and has only the most bitter sweet ending. Will Ezra become the next Skywalker? 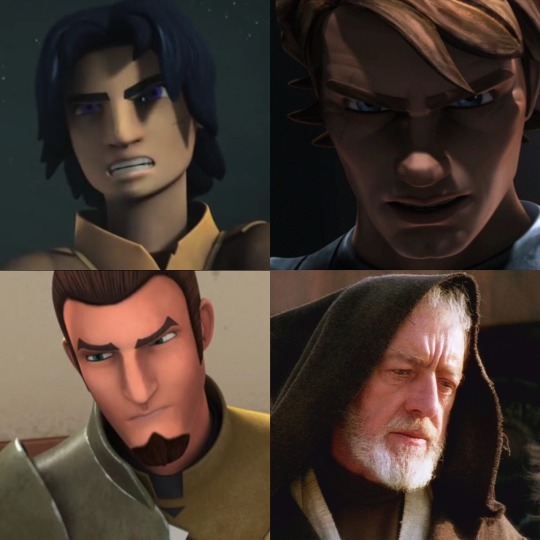 Will Kanan avoid following in the footsteps of Obi-Wan Kenobi? Maybe.